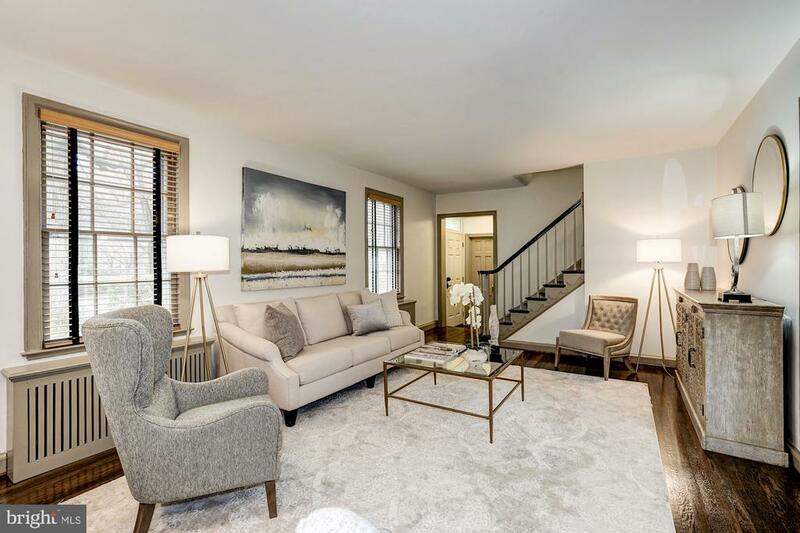 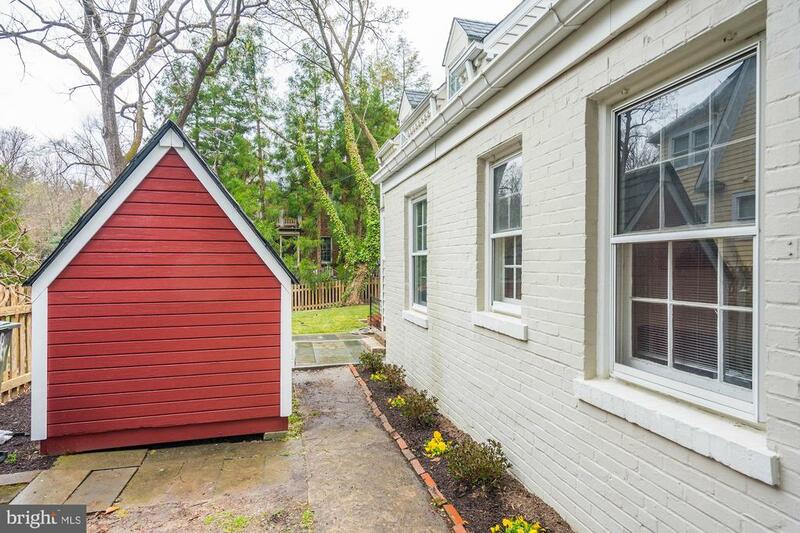 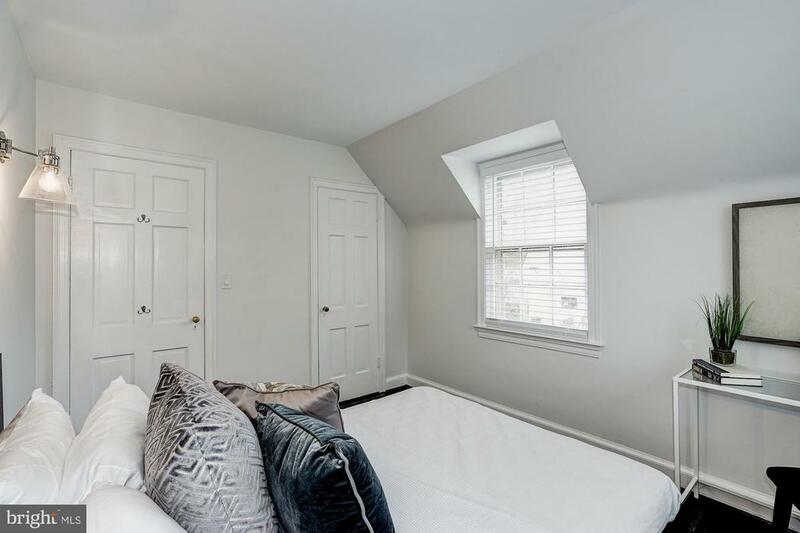 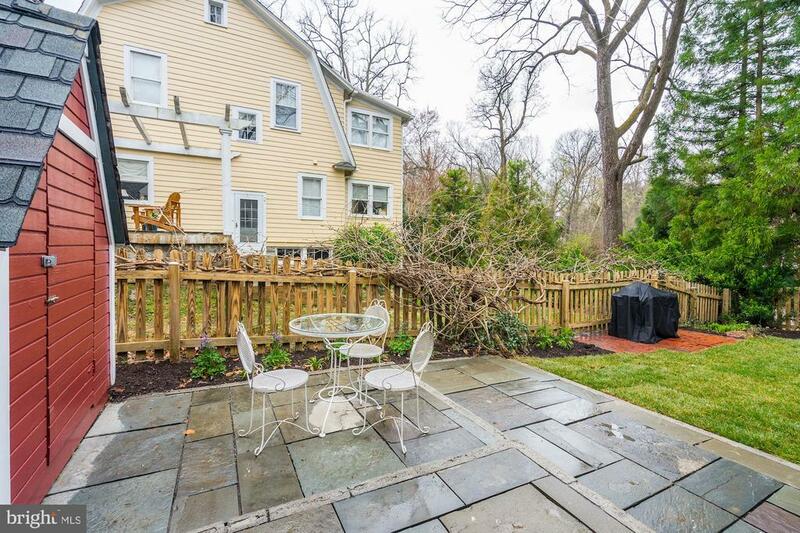 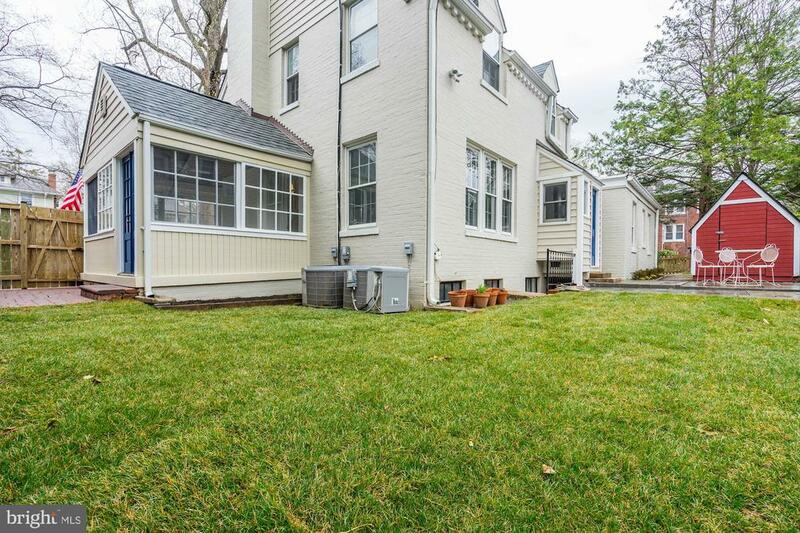 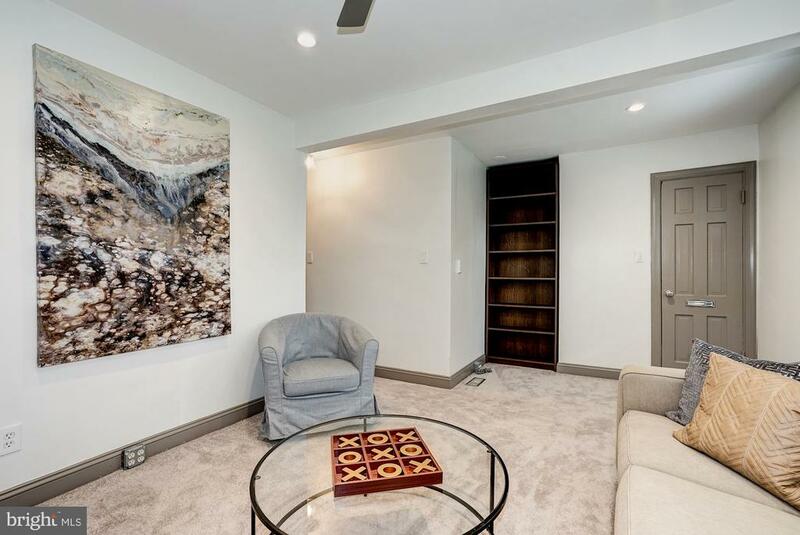 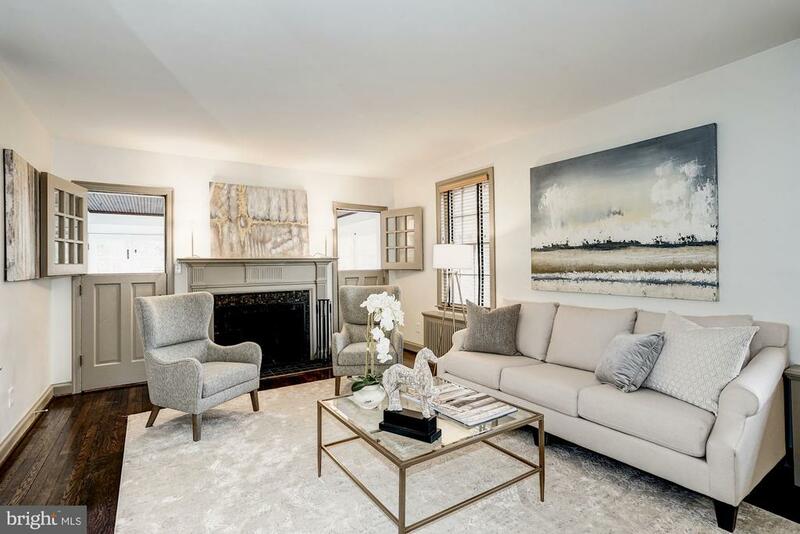 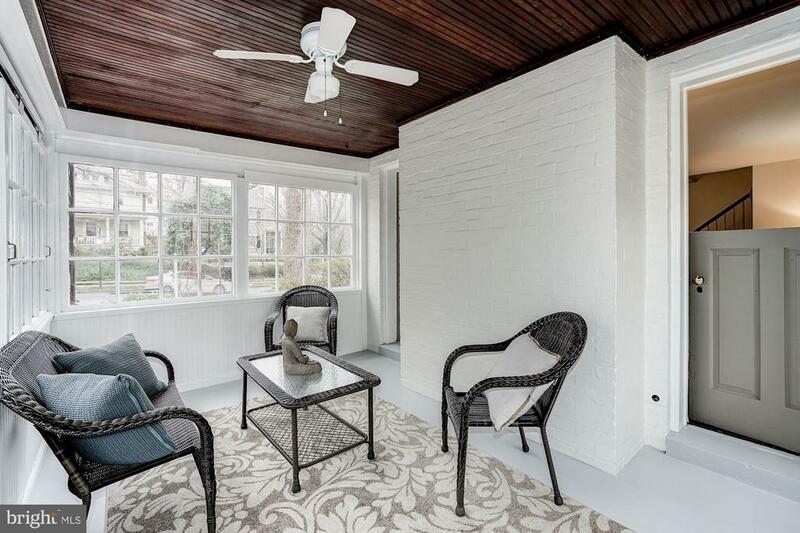 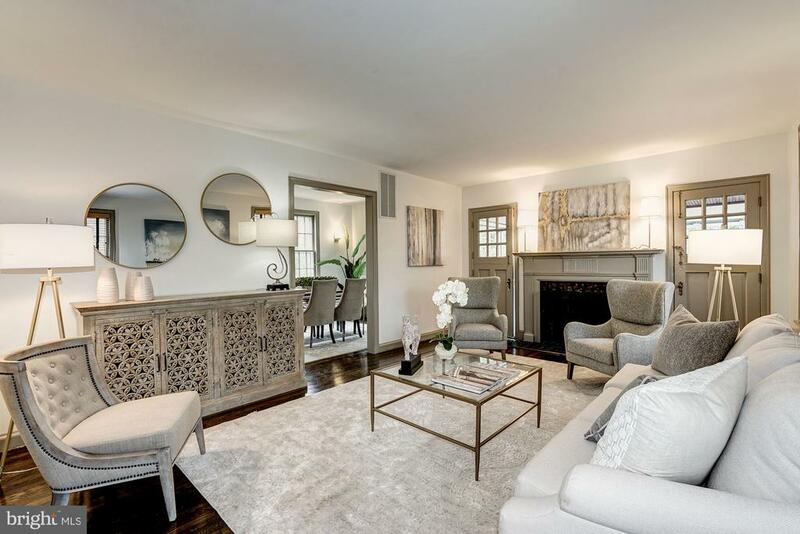 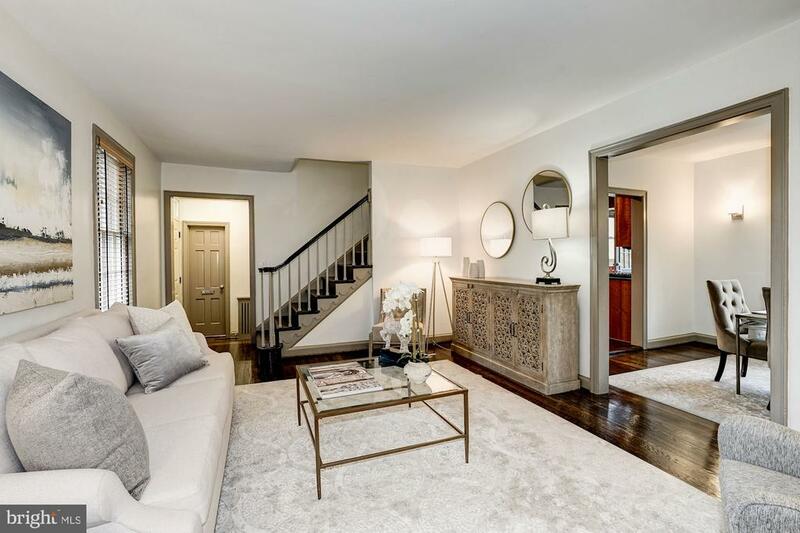 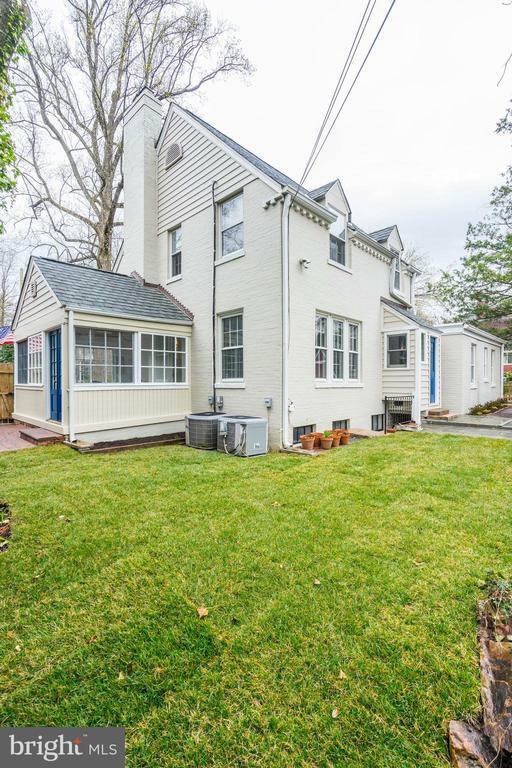 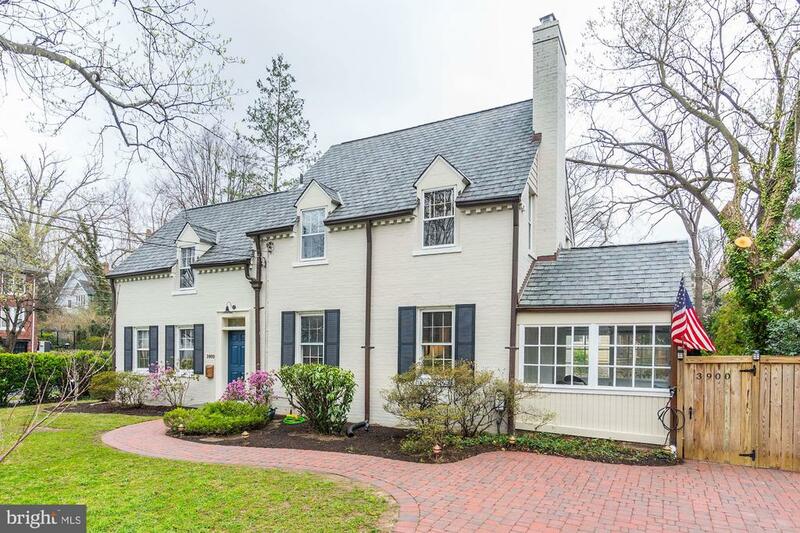 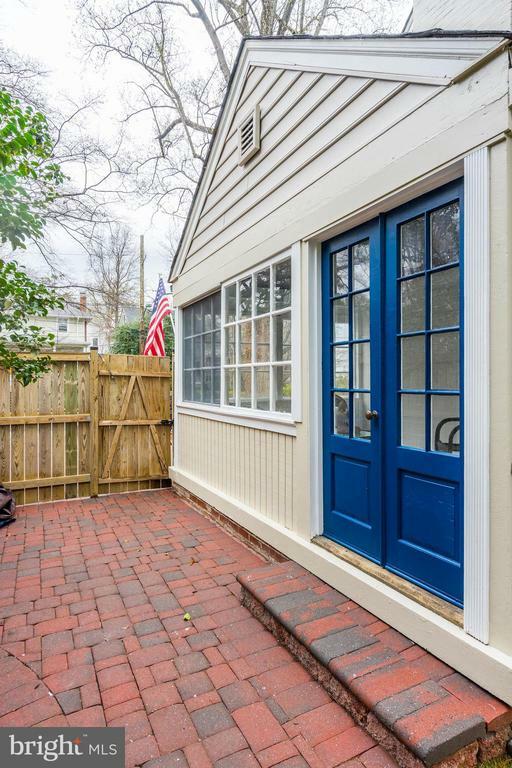 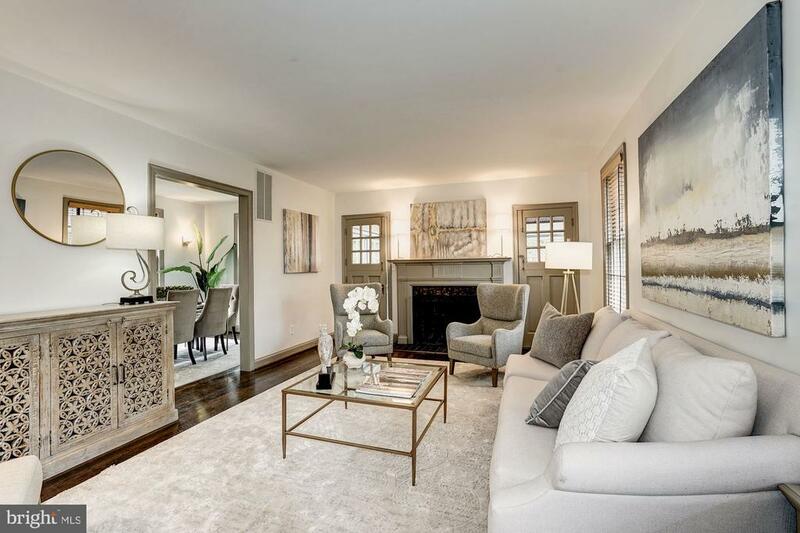 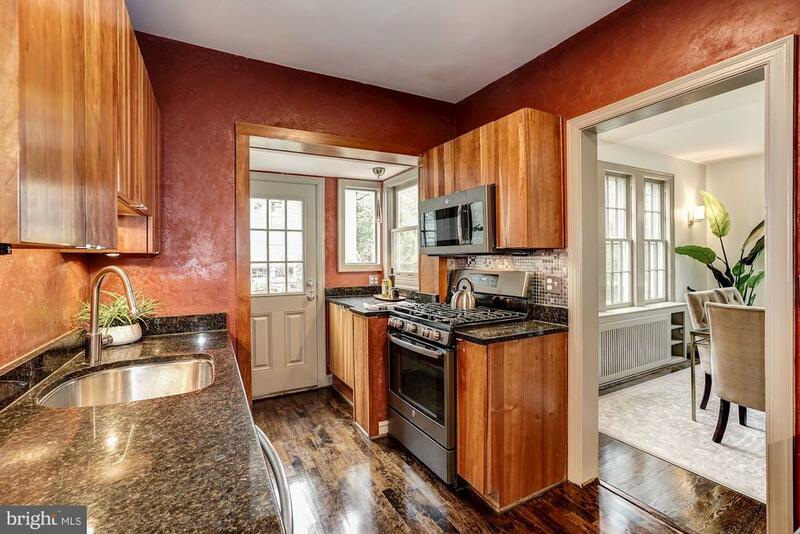 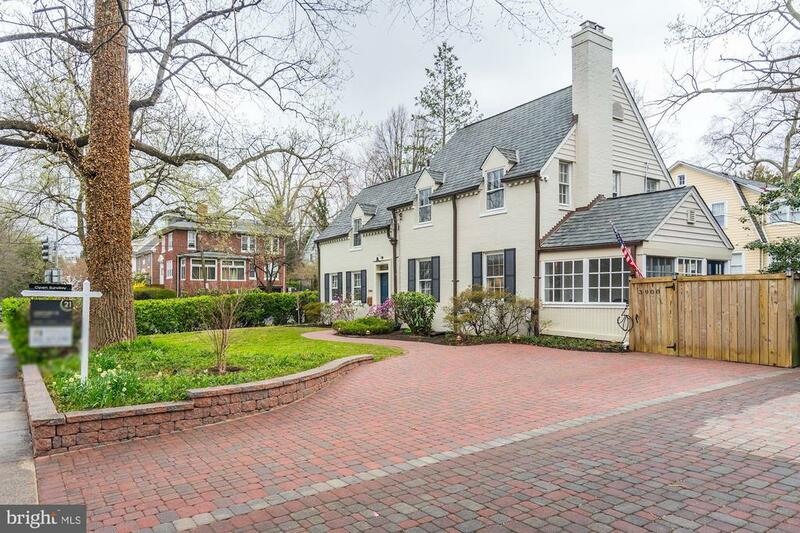 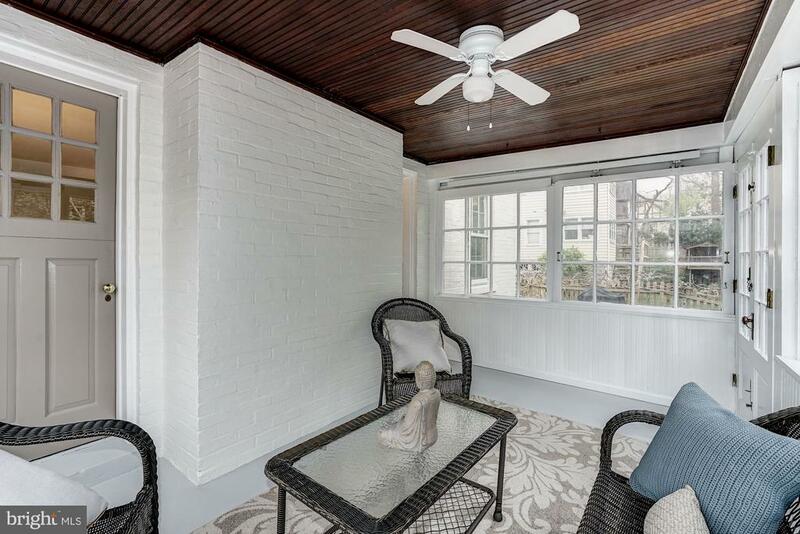 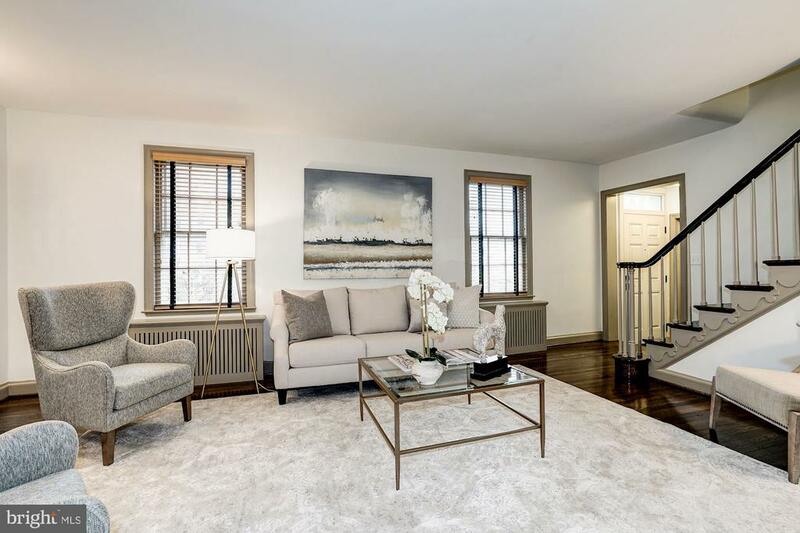 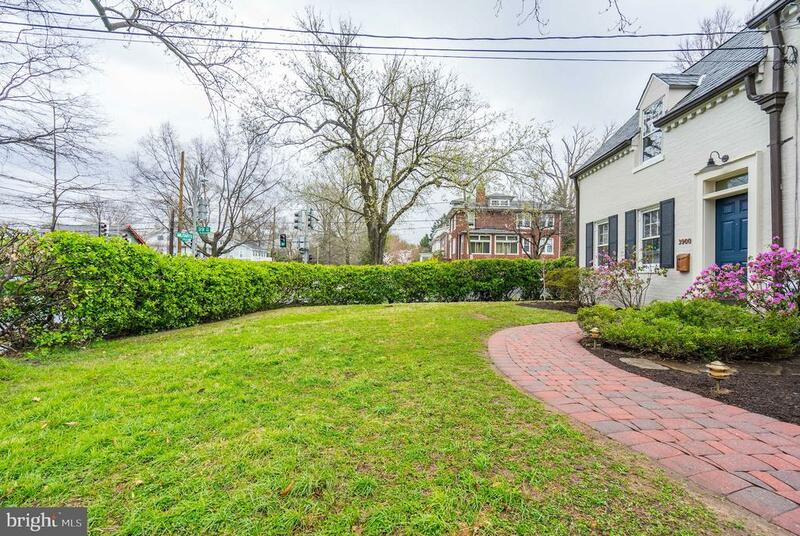 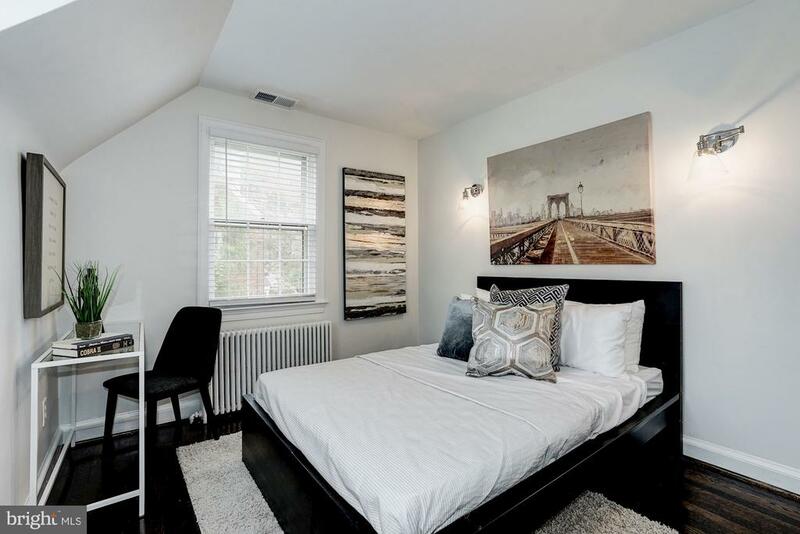 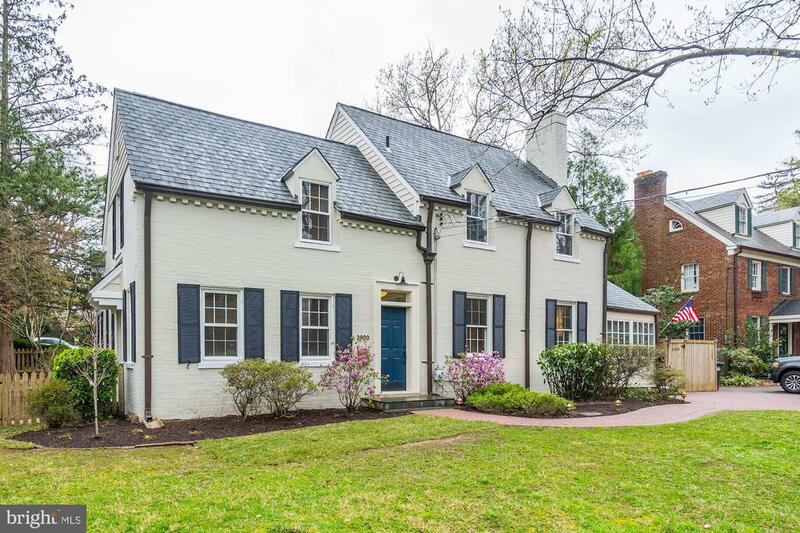 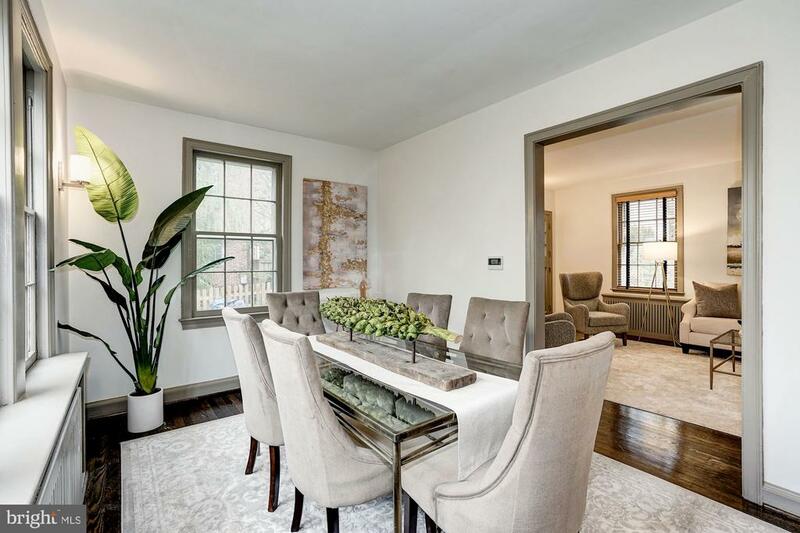 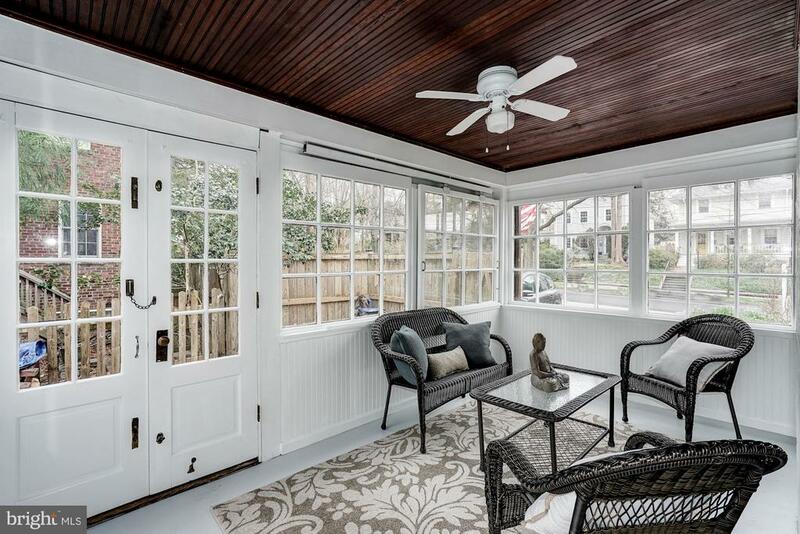 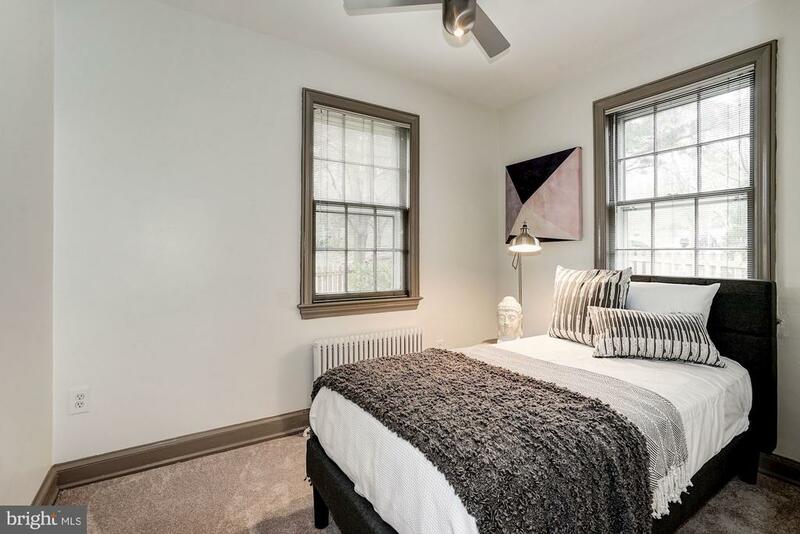 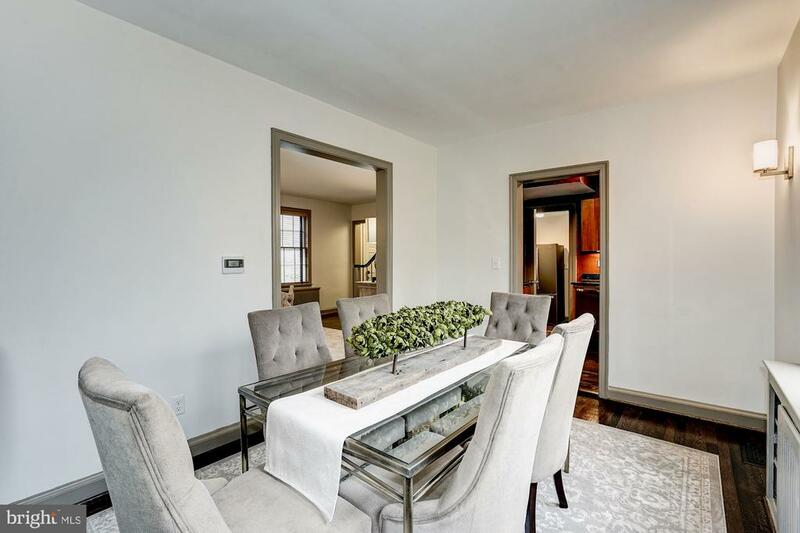 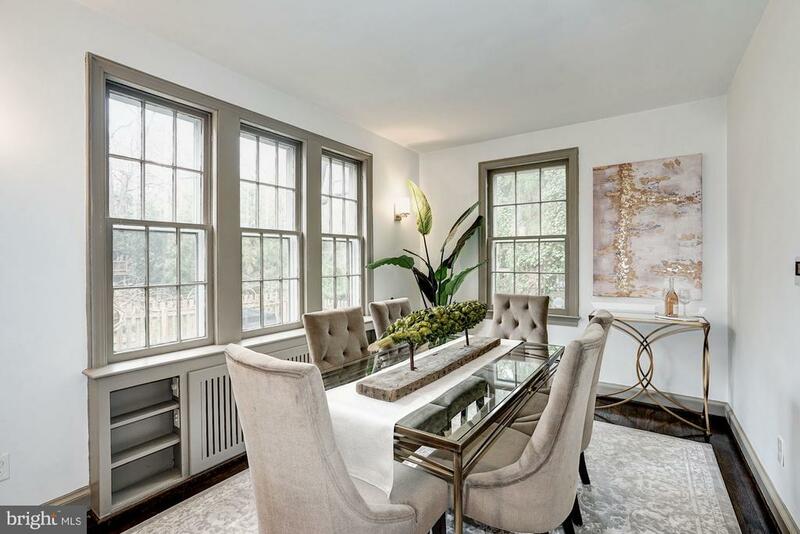 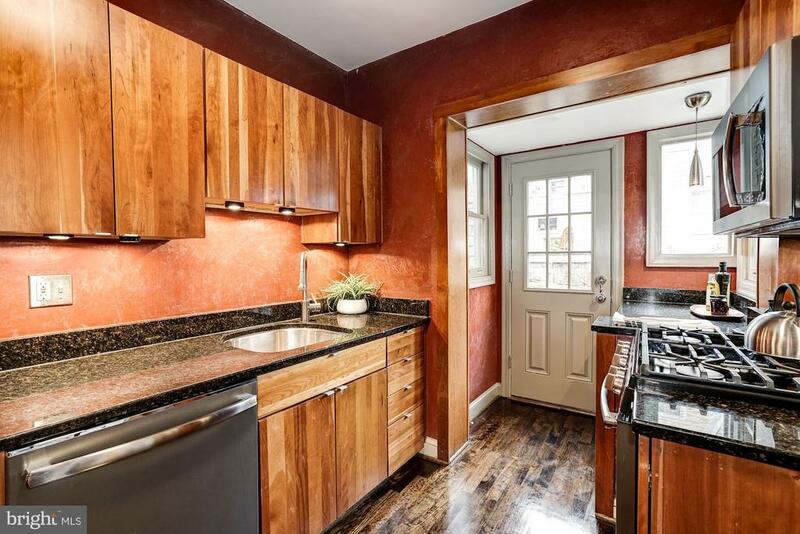 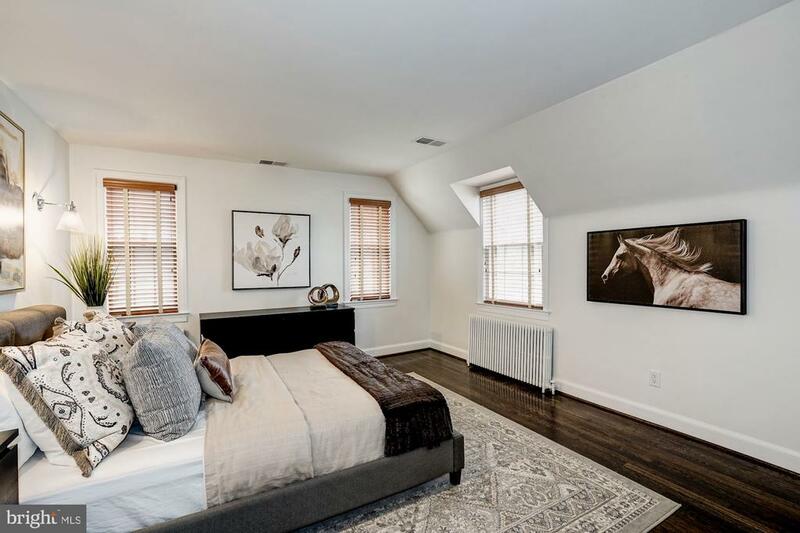 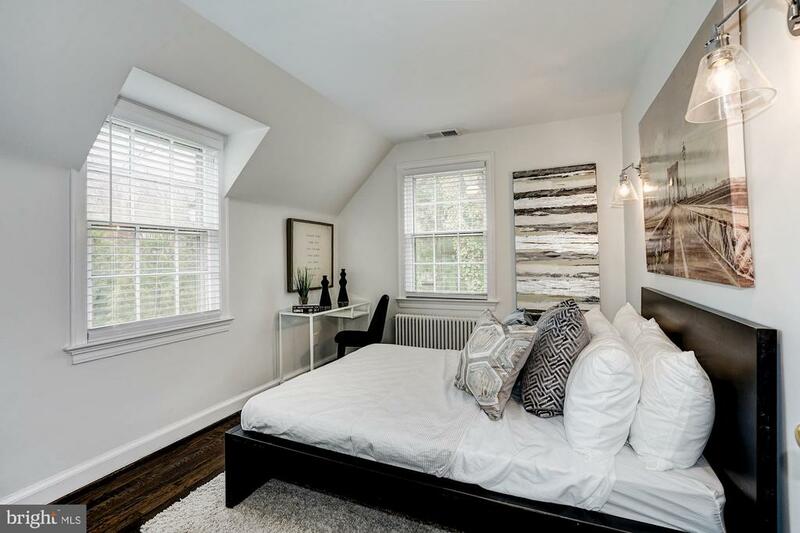 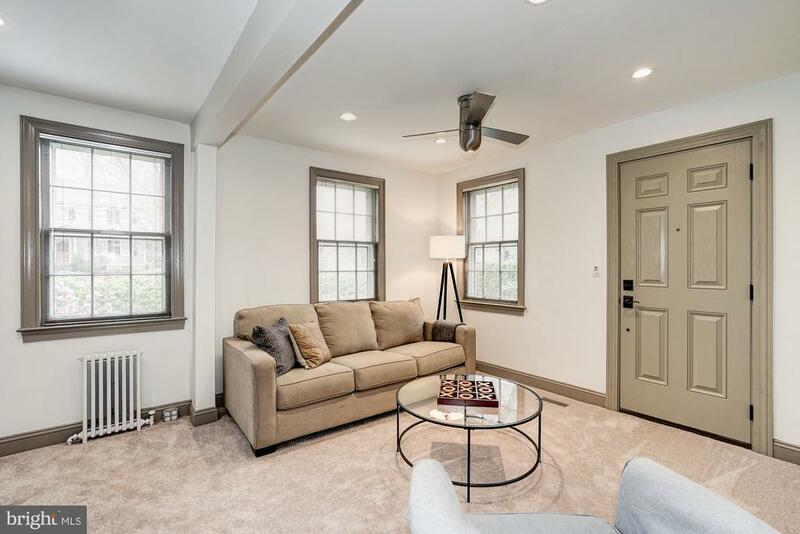 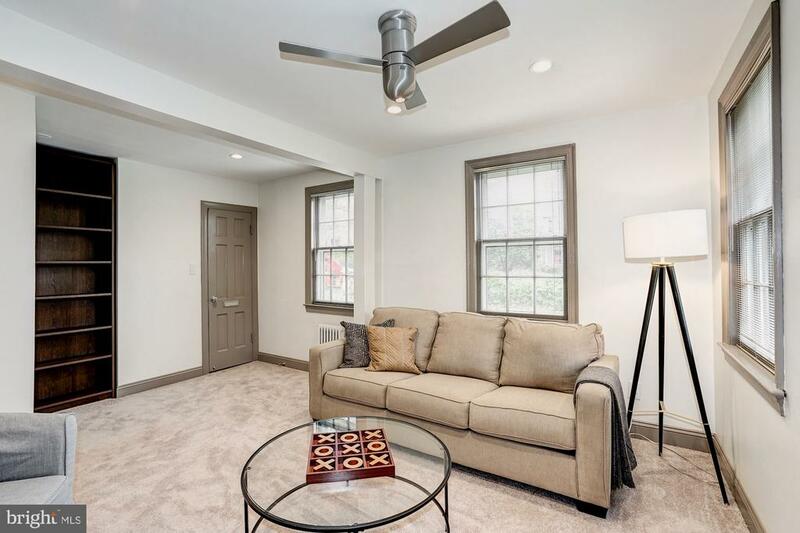 This Chevy Chase brick colonial sits on a prime corner lot and is set comfortably back from the road, providing privacy and presence and is only 5 blocks away from the Friendship Height Metro stop. 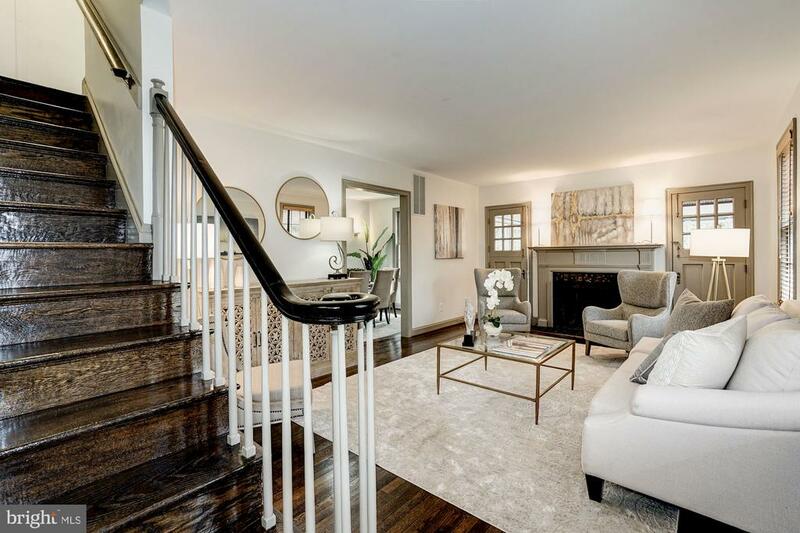 Built in 1937 by a well-known local doctor as his office and residence, this special house has had only two subsequent owners.Three generously-sized bedrooms fill the upper level, including a large master with en-suite bath, a nearly 400 square foot second bedroom featuring an original George Nelson bubble lamp as the centerpiece, and a lovely third bedroom, perfect for a nursery. 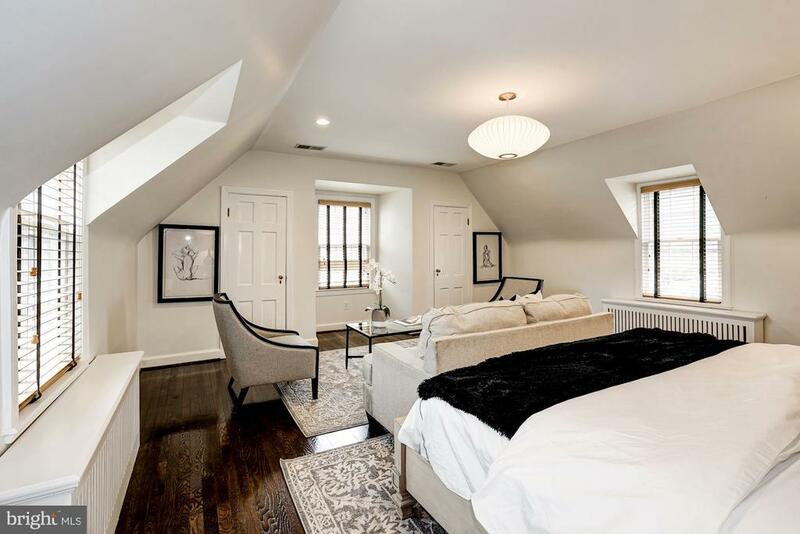 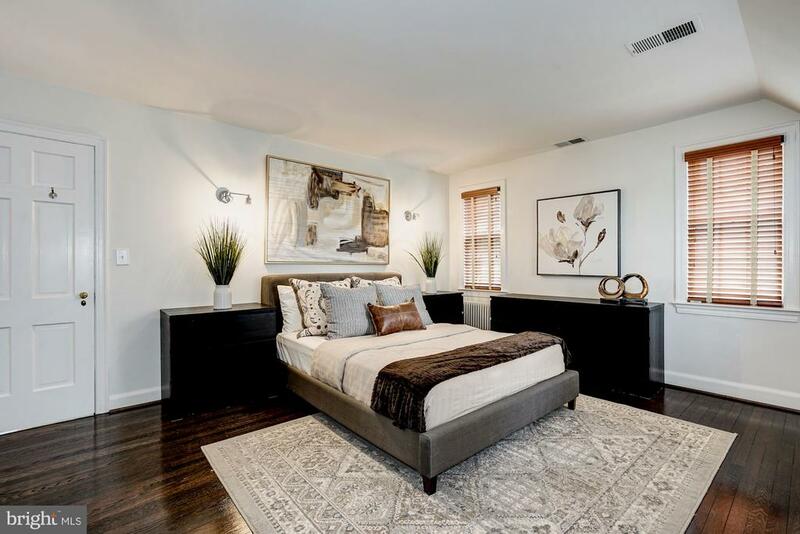 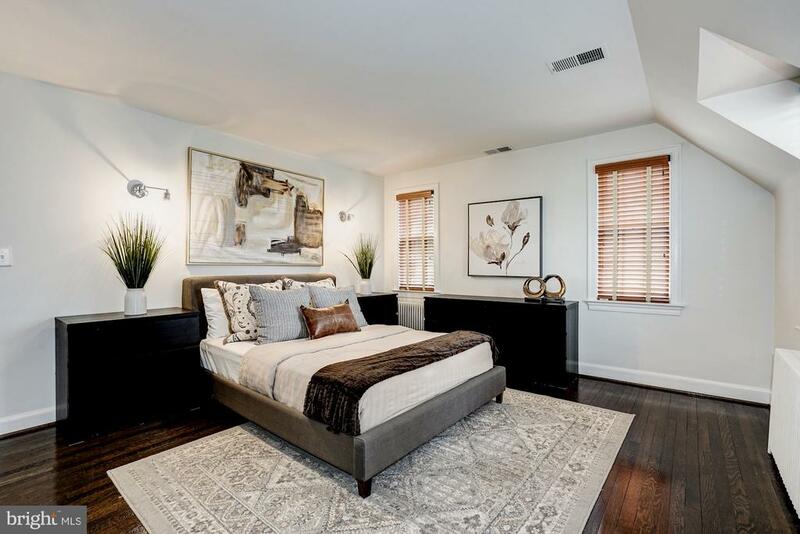 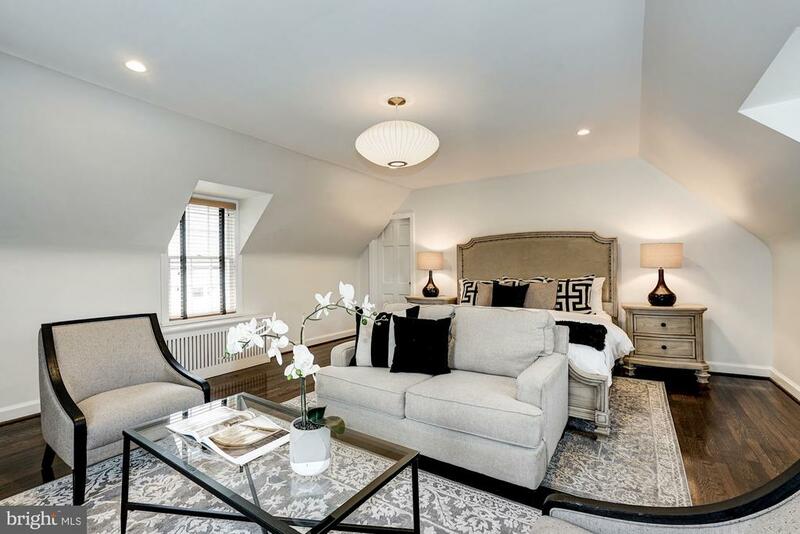 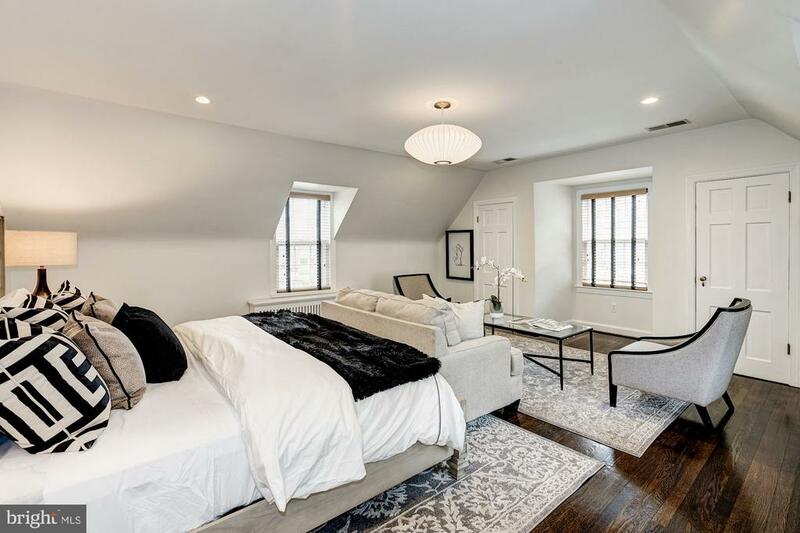 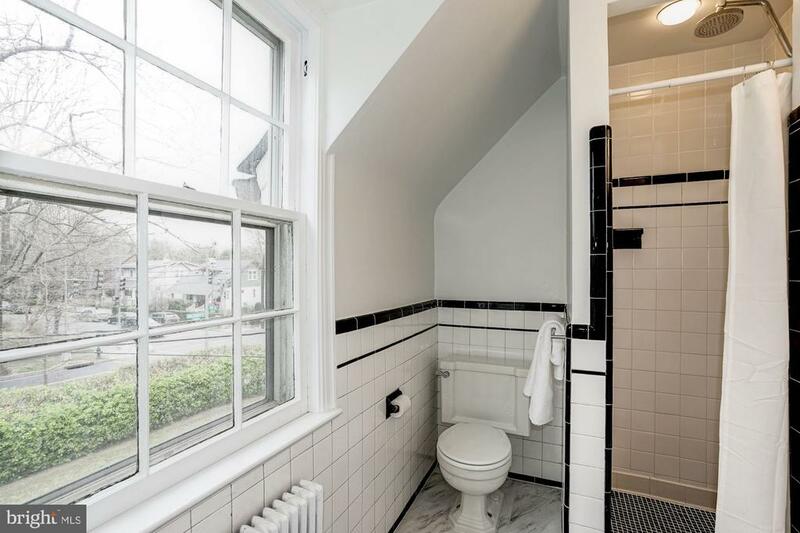 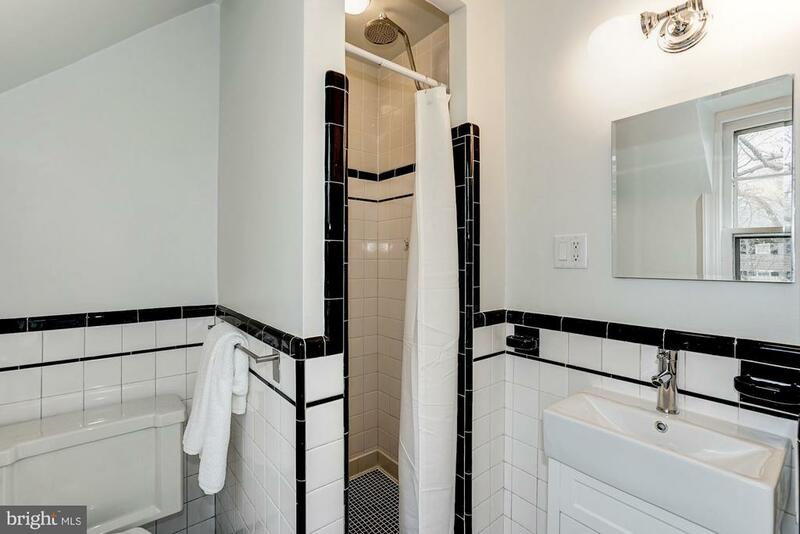 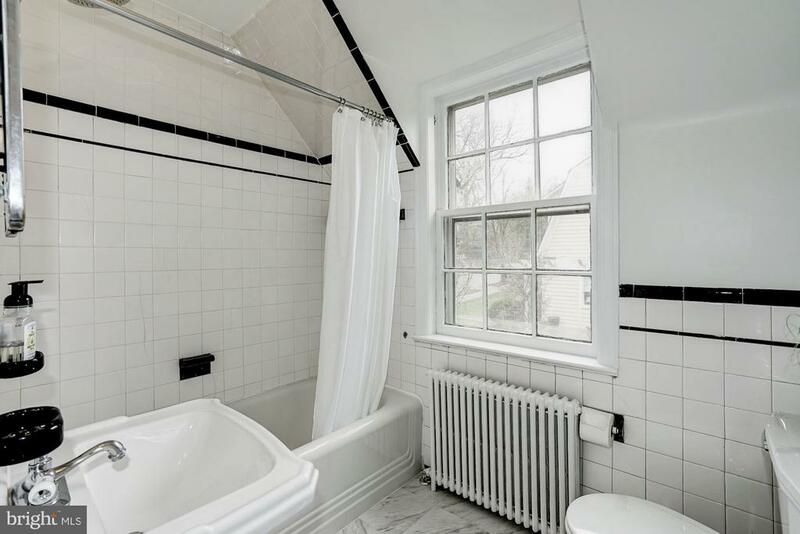 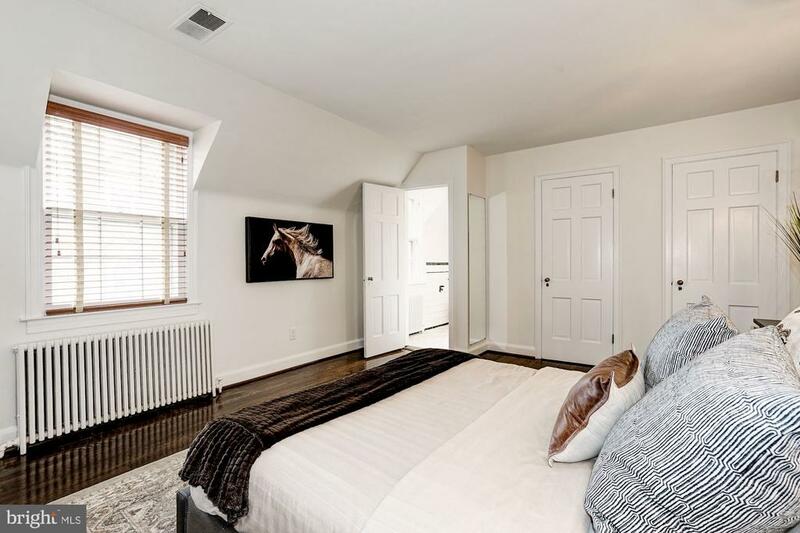 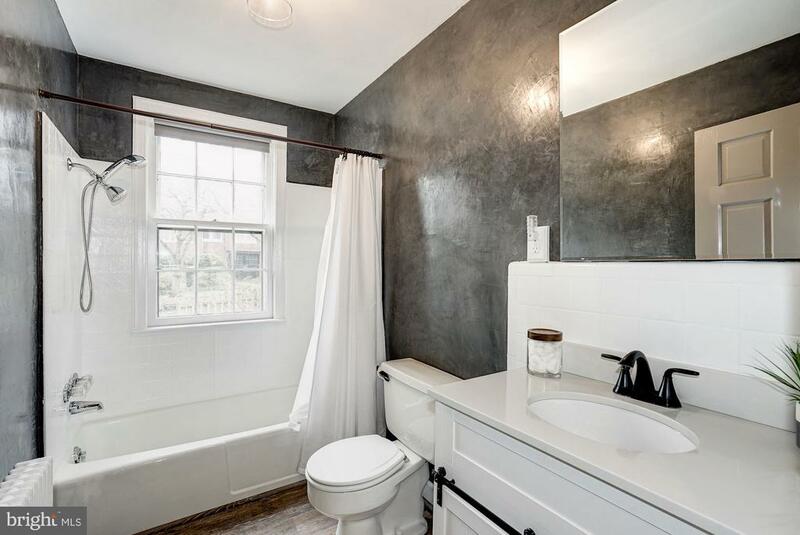 The second and third bedrooms share a hall bath. 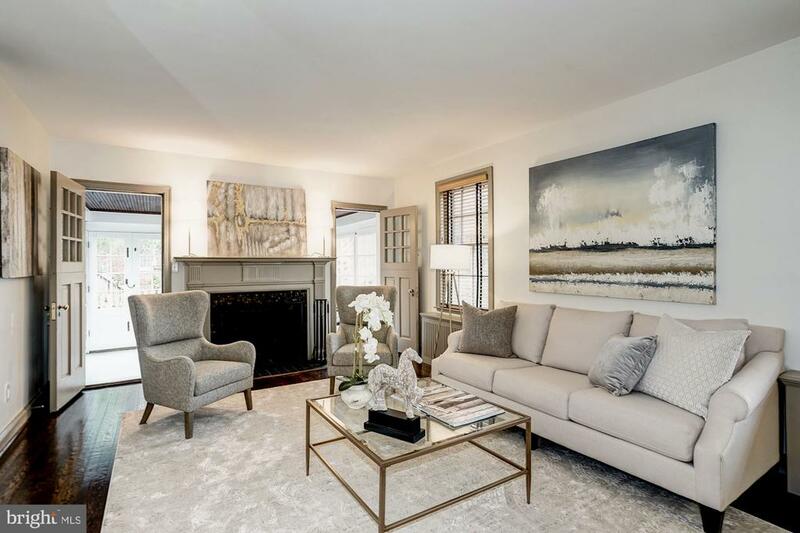 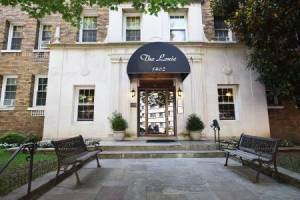 The first floor boasts a large living room with a working fireplace that features a gorgeous glass tile surround and the original mantel. 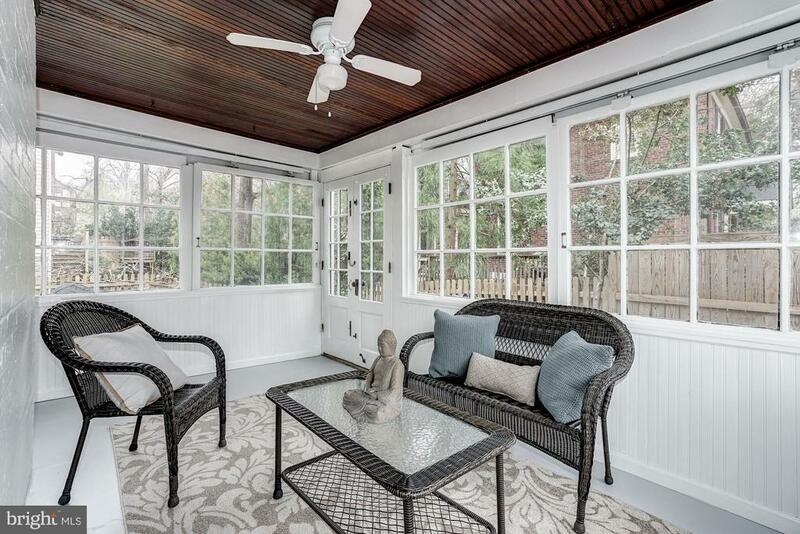 Period Dutch doors open to a crisp, bright three season room with sliding windows and large screens. 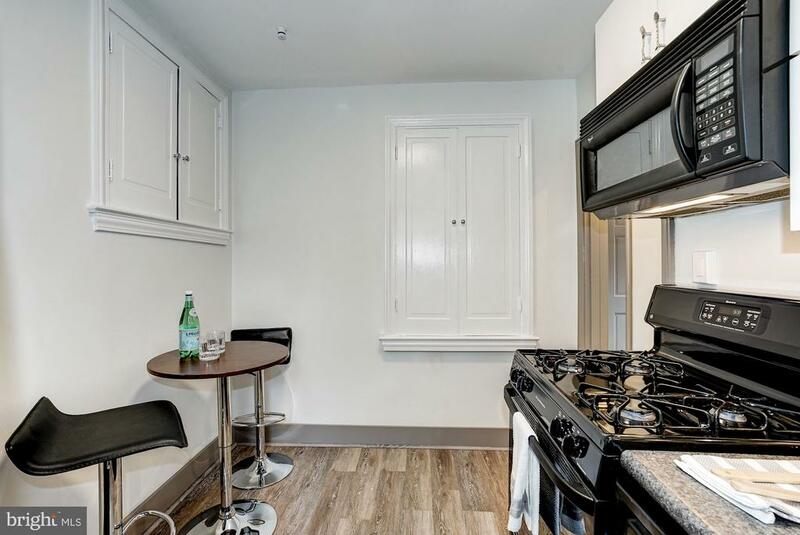 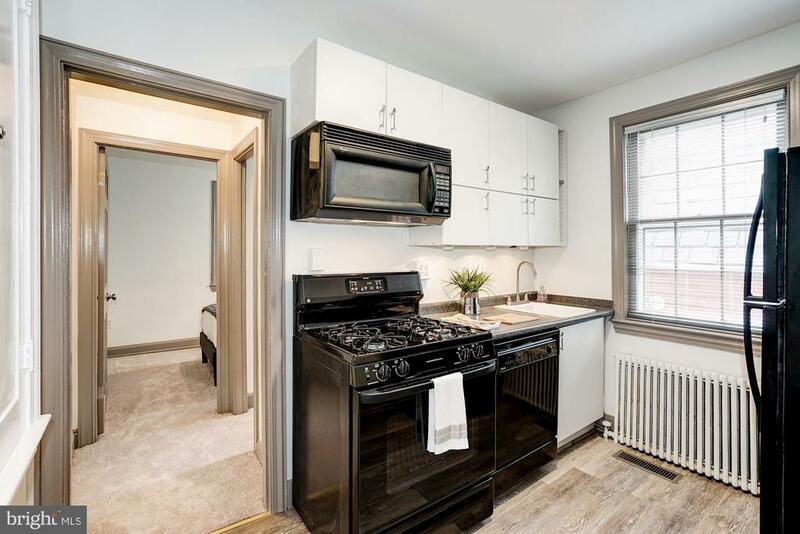 The dining room connects effortless to the renovated kitchen, featuring new GE slate appliances and cherry slab cabinets. 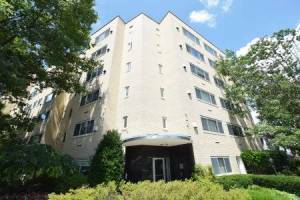 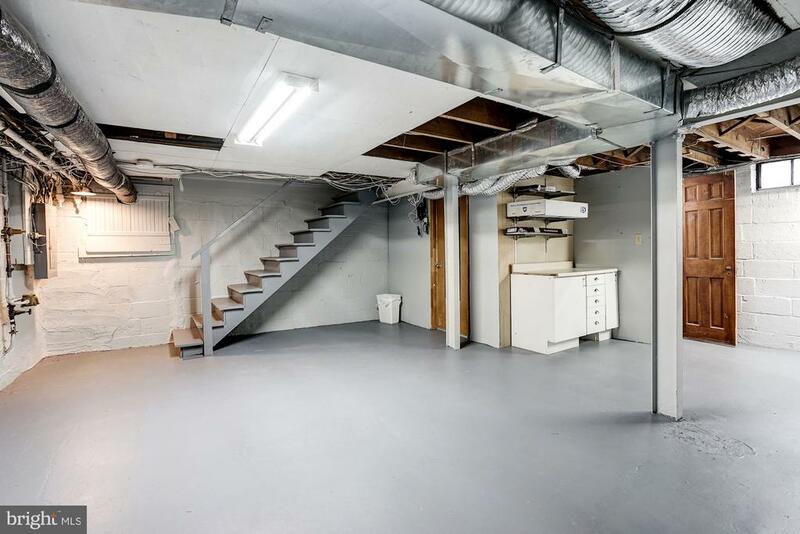 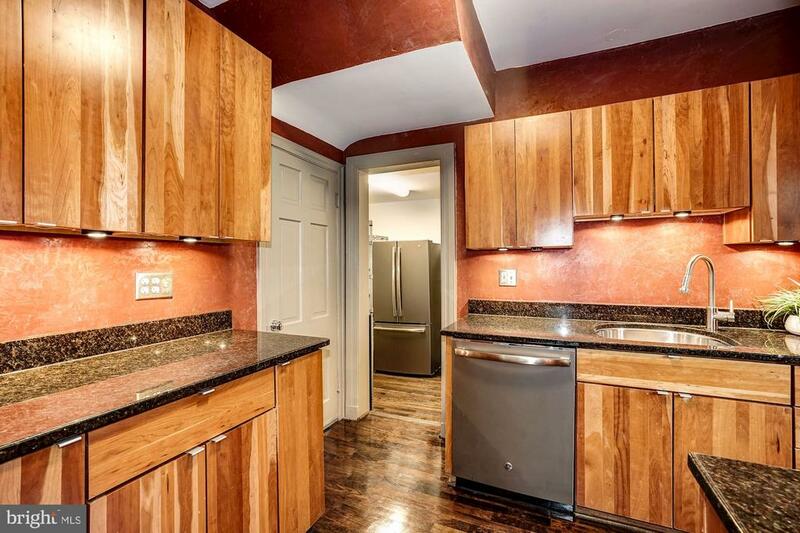 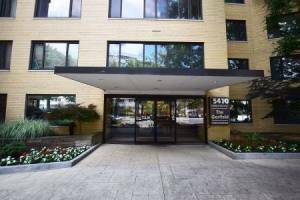 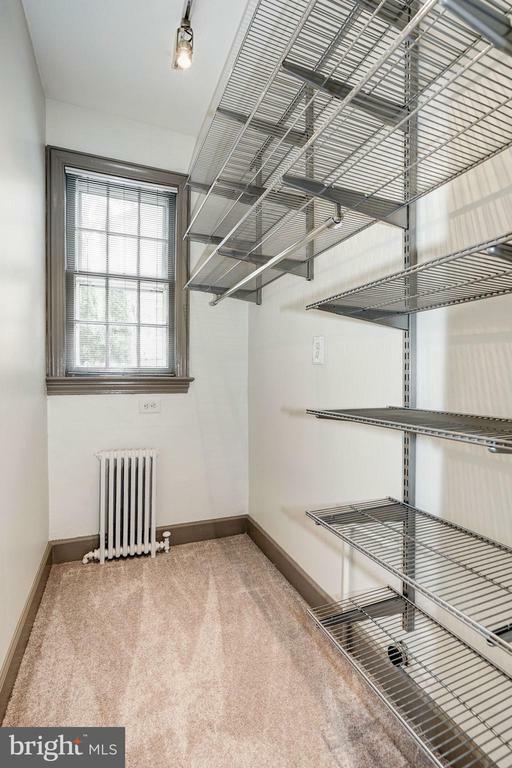 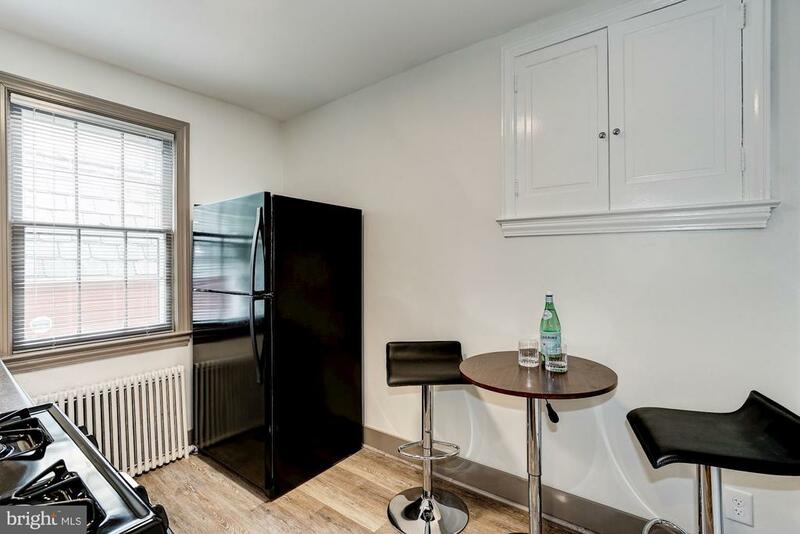 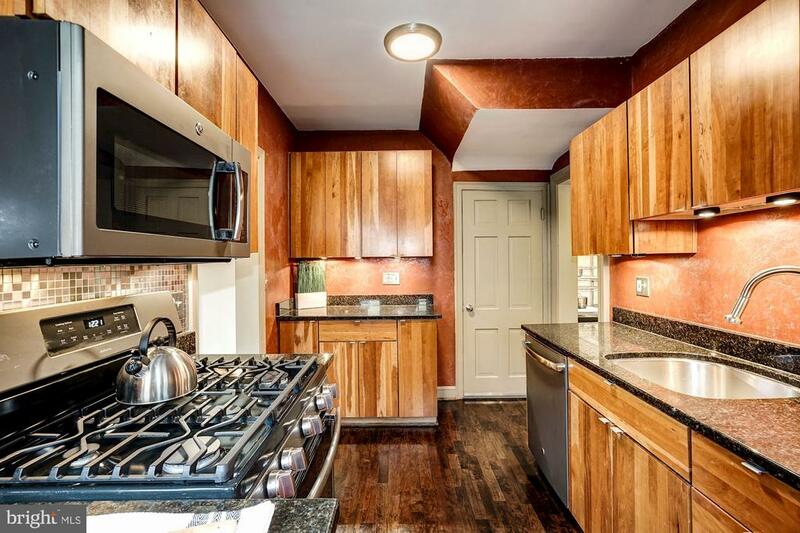 A large adjoining pantry is filled with genuine, professional-grade Metro shelving. 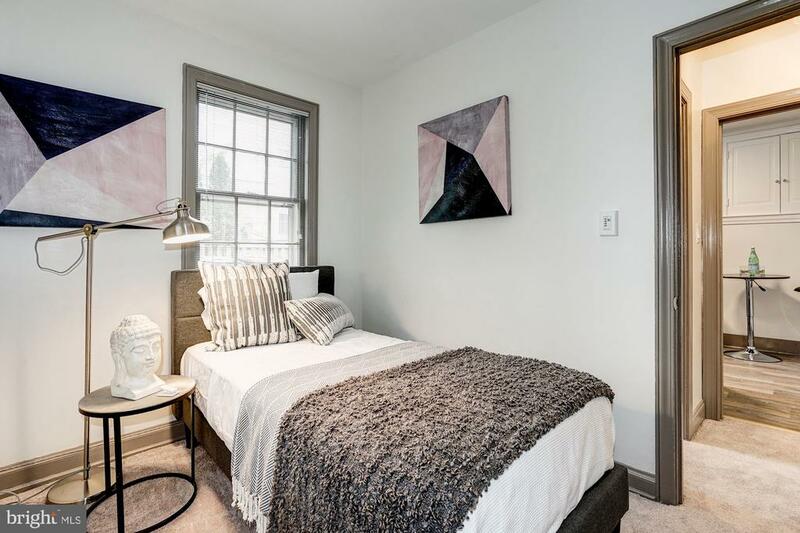 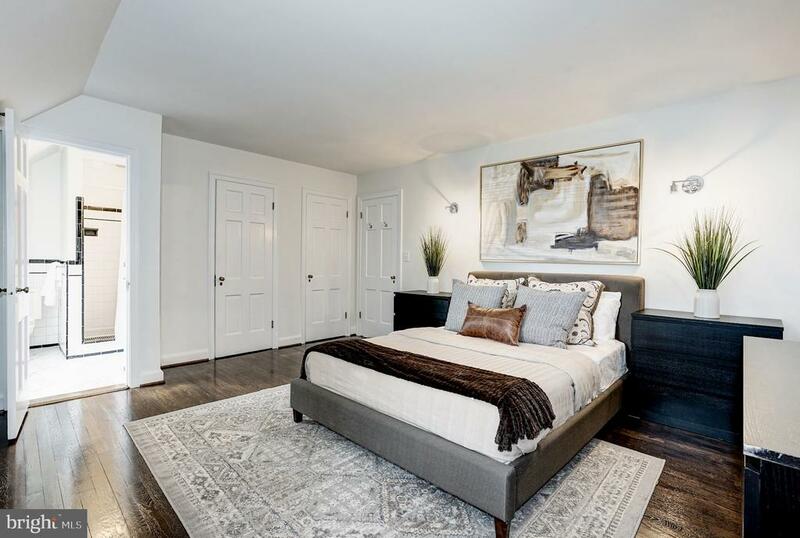 The original doctor~s office has been updated and currently serves as a lovely in-law suite, complete with a sitting room, a full updated bath, a small bedroom, a walk-in closet, a full kitchen with modern black appliances, and brand new carpet and flooring. 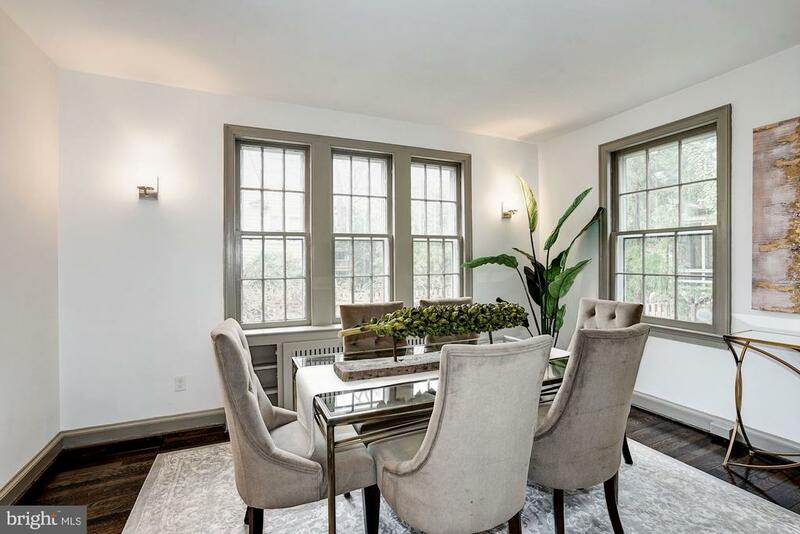 The house is freshly painted from top to bottom and the original oak floors have been painstakingly refinished with a modern flair. 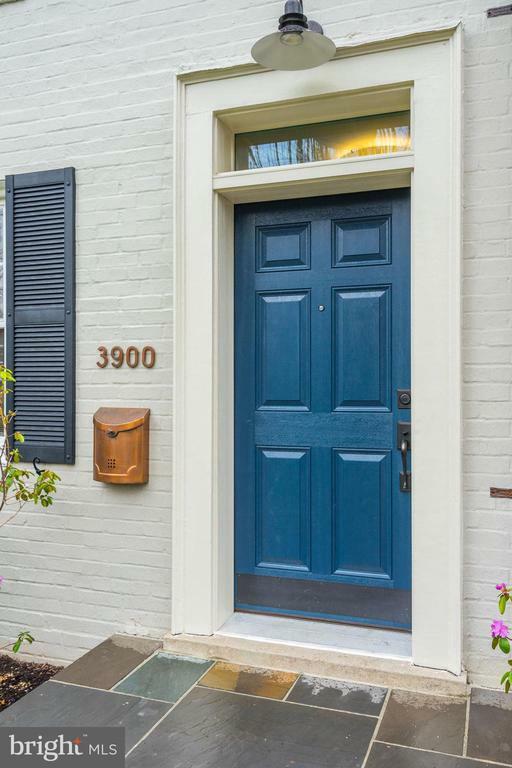 New energy-efficient front, side, and back doors await you. 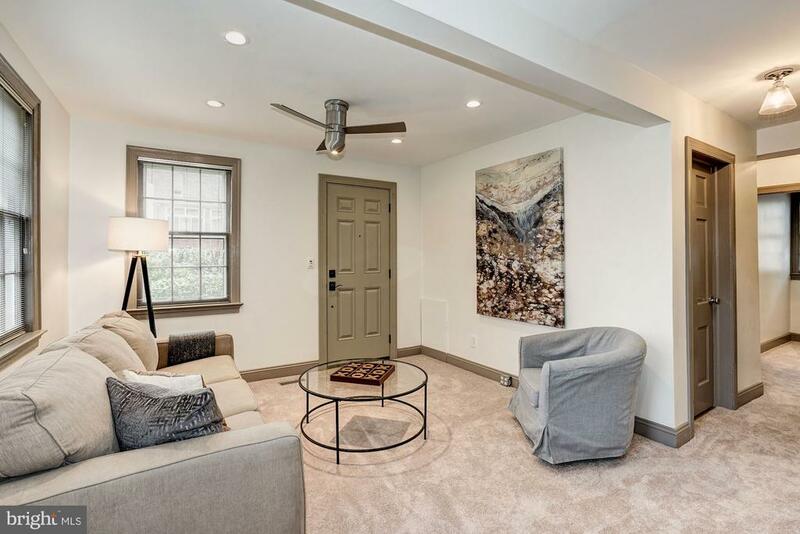 New LED recessed lights and fixtures ensure the home is bright and welcoming, while also energy efficient. 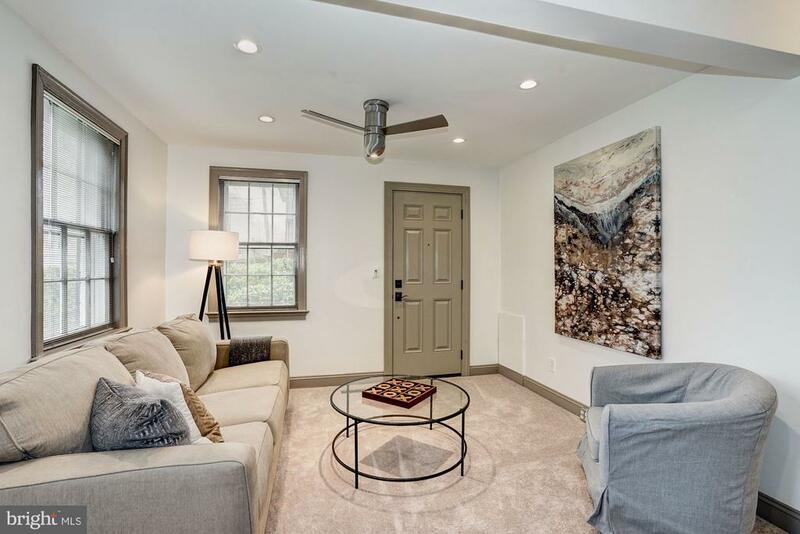 The house in ~smart~ and comes with a Samsung SmartThngs hub, an August Smart lock, smart thermostats and smart lighting throughout the home. 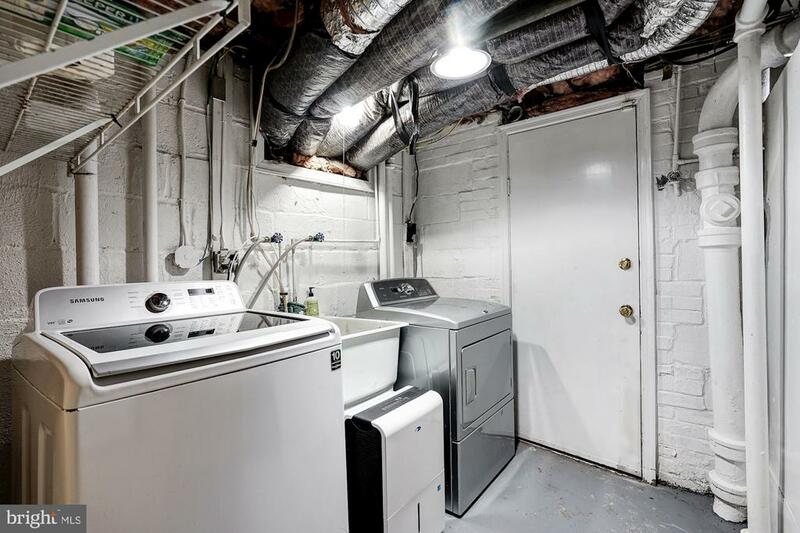 A Level 2 EV charger awaits your current or future electric car. 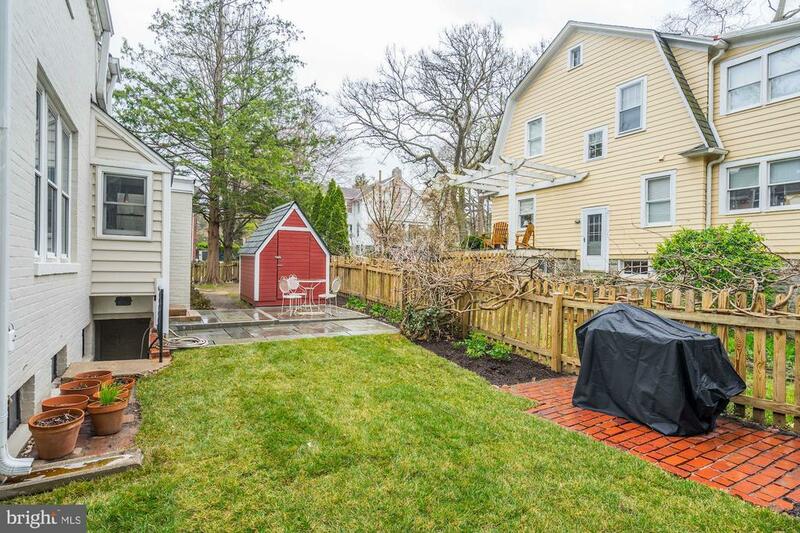 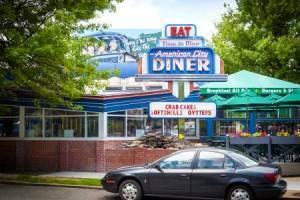 The yard is a combination of mature shrubs, coupled with new sod, specimen trees, and perennials. 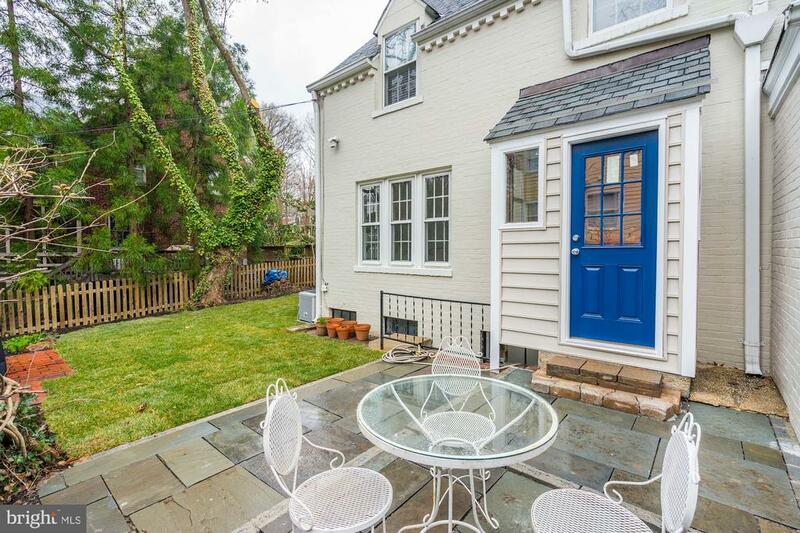 A new blue stone patio is ready for entertaining, and the large, hardscaped driveway can accommodate three cars.